One day, I was wandering around The Old Bike Shop in Dallas, Texas and saw this 1978 Shovelhead. Have you ever run across a bike that stopped you dead in your tracks? 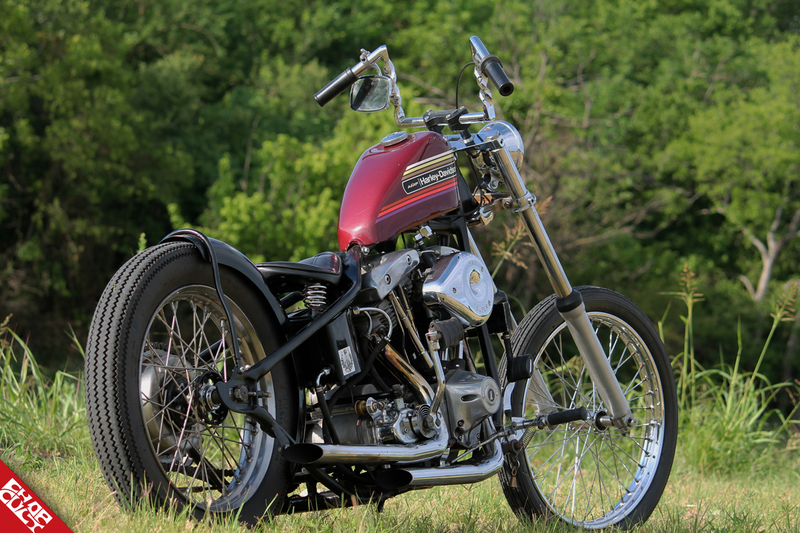 That is exactly what happened when I first laid eyes on this Shovelhead. I was amazed by the simplicity of the build, but at the same time, it had that perfect stance and just the right custom touches to give it that little extra kick to the jugular. Later that month, I was set up at a local swap meet and met Shawn Burks for the first time. As we discussed the bikes we owned, I found out that the Shovelhead I had seen in The Old Bike Shop belonged to him, and he calls it Ol’ Friend. Shawn and I became good friends after that day and had since put lots of miles on many Texas highways together. Shawn is a low-key and humble dude, so when I mentioned featuring his bike, he was a little hesitant. He didn’t think his bike was anything special, but as I discussed the simple elegance of his Shovelhead, I was able to get him excited about moving forward. Shawn explained that there wasn’t any great story behind how he obtained the bike. 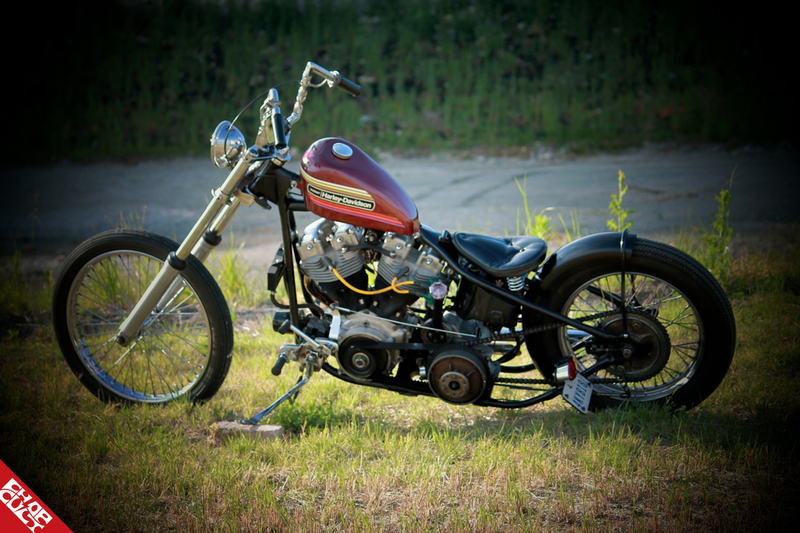 Shawn bartered a running twin-cam for the Shovel from a friend who he has known since grade school. His buddy had the Shovel for over 20 years, and the last several years it sat in the corner of his garage collecting dust. They made the swap and Shawn got the bike to his garage and immediately stripped it down to start the tedious process of making the bike his own. The very next day, he headed down to a little hole in the wall shop and struck a deal on an original 1974 AMF tank and some twisted Z bars which found their way onto the Shovel. The next thing on the agenda was to lace up an 18” rear wheel using a star hub and mechanical brake setup. Moving to the front of the bike, he added an old Hallcraft hub to a 21” rim for the stance he had envisioned from the time he rolled the dusty old Shovel out of his friend’s garage. Digging through his stash pile, he recycled a fender he picked up at a swap meet and, after some fab work, he was able to nicely fit the fender over the rear tire like a glove. The last thing on the agenda was to add six over tubes and shaved lowers so he could finalize the build and start terrorizing the roads and highways. Shawn would like to thank The Old Bike Shop for all of their help and support are given to him during the build and his friends and family for all of the donated parts and ongoing support. He would also like to thank his wife, Cheri, for her patience and understanding during this build. Lastly, he thanks the ChopCult family for their continued promotion of grassroots garage builders who are pumping out some fantastic bikes. Next modification will be: Just ride it!!! Other mods, accessories, cool parts, etc: Really like the handmade shifter lever and the shift knob that my wife gave me. 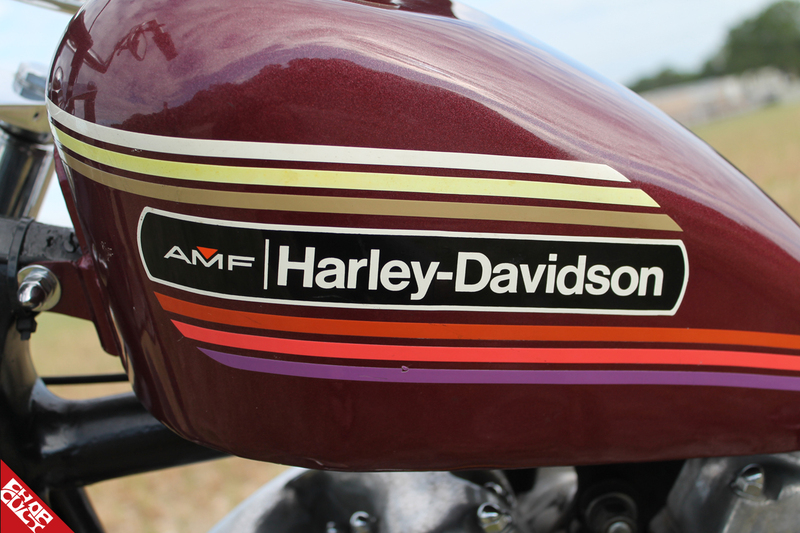 The original AMF tanks and bars are also some of my favorite accessories on the bike. Now that's the way to do it! Nice bike! Shawn and his family are great folks. I see them every year at Just Kickers. Well done. I'm not a huge fan of wide front ends, but the clean simple lines on this bike really make it work. 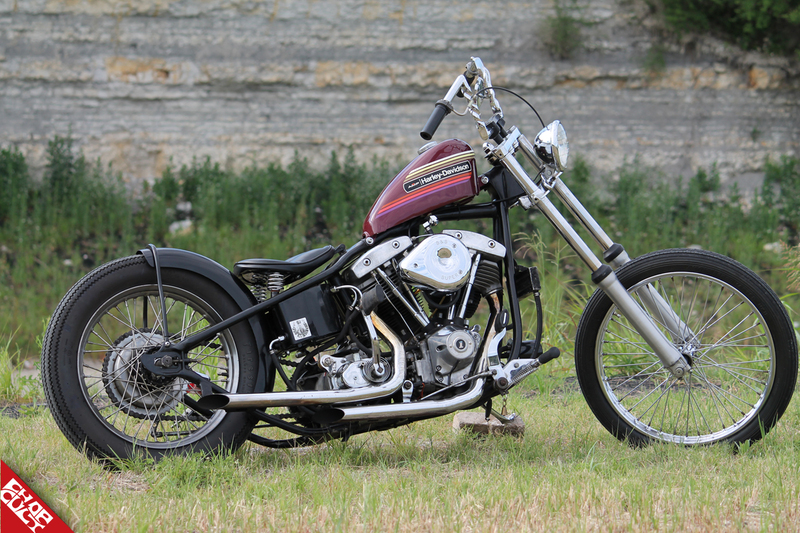 Even though we each have our little personal touches, this is how a shovelhead should look - clean, simple, nothing that isn't functional and letting the function and beautiful design speak for itself. Great piece, Jason! Nice photos and good write up. Good job, my friend! Shawn has a sweet scoot there. I see he's in FTW. Hopefully I'll get the opportunity to meet him at a gathering this summer and check out his "Ol' Friend."